Surprise, Arizona is in Maricopa County. The city began when Flora Mae Statler purchased farmland in 1938 that covered one square mile. At one-time Statler had stated if the town ever amounted to anything she would be surprised, and the name of Surprise was chosen. In 1960 the city was incorporated after it was subdivided into parcels as homes for agricultural workers. It has undergone a great growth spurt. In 2000 30,000 people lived in Surprise, and now approximately 123,813 people call it home. The warm climate of Surprise lends itself to many outdoor activities. The Surprise Community Park offers a playground, picnic tables, a dog park and well-lit volleyball, basketball and pickleball courts for a variety of fun activities. The Surprise Tennis and Racquet Complex is not far from the park. Here you can join a league or drop in to play tennis or visit during a tournament. The White Tank Mountain Regional Park is 30,000 acres of beautiful countryside. When you walk the Waddell Trail, you will see saguaro, paloverde, and cholla. If you follow the trail, you’ll end up at Ford Canyon, where shallow basins hold water. Another trail is the Surprise Women’s Heritage Trail, which honors Flora Statler, the city founder. Here the self-guided tour honors not only Statler but other Surprise women who have contributed in significant ways to the community. Avid golfers will enjoy the 18-hole course at Cimarron at Sun City Grand. 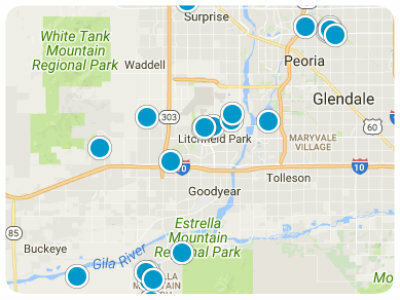 The diverse real estate in the Surprise community includes older neighborhoods as well as new developments. 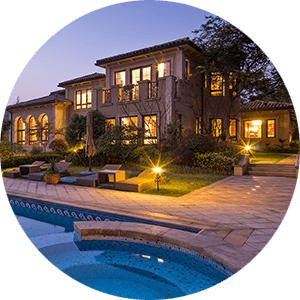 Whether you are looking for a ranch style home or a multi-level single-family home, there is something to fit your needs here. With well-maintained developments, the neighborhoods are lovely as well as family friendly. 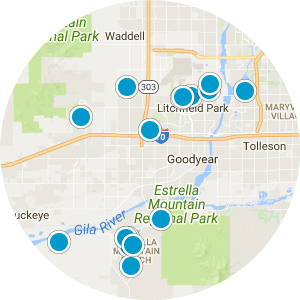 The schools have high ratings, and you will see that this area has not only the sheer beauty of the surrounding landscape, but it has many local amenities, as well as those in Phoenix. Singles, families and senior citizens will be able to find something to suit their needs in this community, making it a must consider destination for home buyers in the Phoenix area. 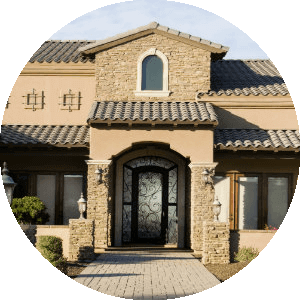 If you would like more information on homes for sale in Surprise, Arizona, please contact us today and allow us to assist you.